Home › What is Tai Chi? Tai Chi consists of slow gentle graceful circular movements that are done at a very slow tempo. Breathing becomes relaxed and deeper and this will help mental relaxation. When we relax our brain waves slow down and energy or “Chi” has a better chance of flowing freely around our body and mind. Chi or energy is the life force that flows through your body on specific channels called Meridians. Energy or Chi is a combination of the Chi you were born with, the Chi you absorb through food and water, and the air you breathe. Tai Chi has many health benefits. It will strengthen muscles give more joint mobility, aid flexibility and combines all this with mental relaxation and awareness. A quick look on the internet and you will be amazed at all the different types of Tai Chi available to you today. They are all good, have a set of principles in common and all offering something unique to their style. The emphasis could be on hard or soft energy (Yin and Yang) or a mixture of both. Some of the main ones are Chen, Yang, Wu and Sun, so called after families and founders who began these styles. Yes, this can be confusing, and the other challenge you encounter as a beginner is that the translations from Chinese by English writers may mean that words are spelt differently sometimes. Beautiful exotic names are used to describe the moves. 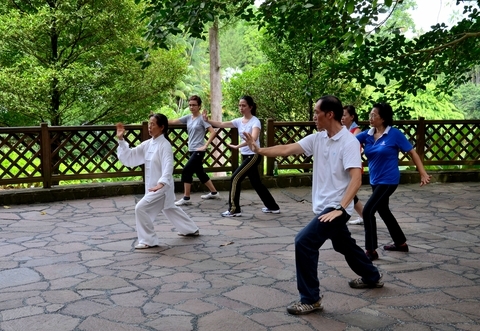 Originating from the ChenVillage, is the oldest style of Tai Chi. It is characterised with a lot of intermixed slow to fast spiral movements which are close to martial arts. It contains some explosive power which are mostly combative in nature. It demands more athletic and physical ability than the other styles. If you are elderly it will be a challenge and also if perhaps you are trying Tai Chi to recover from injury it will require co-ordination and perseverance as it may be complex to learn. It’s beautiful to see in action but quite difficult to master. The explosive action and some of the impact from the stamping may not suit the elderly. This is currently the most popular and widely practiced style in the world today. This is very convenient if you’re a beginner as there is more accessibility to teacher’s books and DVDs on this style than any other. Its popularity has spawned variations and has a constant steady flow and effective for promoting health. It is characterised by flowing beautiful movements and the original forms may take some time to learn. It also has some low stances. I only practised the Wu style for a very short period so cannot offer opinion. As an authorized instructor under Dr Paul Lam, I find teaching Sun Style Tai Chi, Qigong and Meditation leads to a meaningful happier lifestyle. It was the next logical move after a 40 year career in Taekwon-Do, Boxing and Martial Arts. Sun Style is the youngest of the major styles. Created by Sun Lu- Tang (1861-1932) who was a well known expert of Xingyiquan and Baguaquan (two internal martial art styles) and this was before he even learned Tai Chi. Sun Lu-tang incorporated these internal systems and the powerful elements of Qigong into his Sun style and hence created a very unique version of Tai Chi. 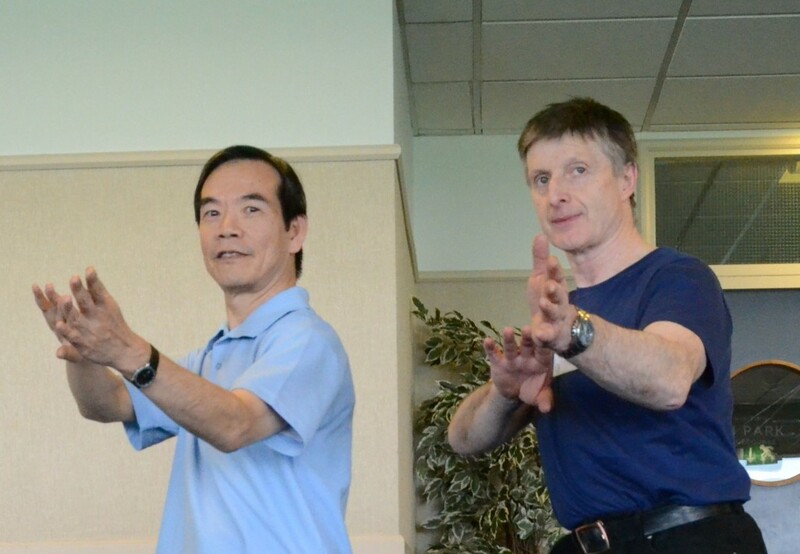 Qigong or Chi Gung is an integral component of Sun style Tai Chi. It’s one of the oldest exercises in Chinese history and allows you, once relaxed, to explore and re-educate your control of mind and body. The degree of relaxation I am referring to here is a learned and deeper form than surface relaxation. In Chinese Qi or Chi means several things, the most common being air or life energy and Gung mean exercise. The Sun style is characterized by higher stances and agile steps where by when you step forward or backward one foot follows, and this aids hip mobility. Sun Style has forms which are quicker to learn and easier to memorize. Once you have learned a basic form, a deeper more refined level of relaxation can be achieved and therefore more energy cultivated.